Widely regarded as the founder of evolutionary genetics, Theodosius Dobzhansky was an eminent Ukrainian-American geneticist and evolutionist. He played a vital role in the development of evolutionary theory and genetics. Born in Nemiriv, now in Ukraine, on 25 January in 1900, Theodosius Dobzhansky was the son of a high school mathematics teacher. He belonged to a family of Russian Orthodox priests. During his childhood, Dobzhansky developed a passion of collecting butterflies and ladybugs, and was an ardent fan of outdoor activities. In his high-school days, he decided to become a biologist. After graduating in biology from the University of Kiev in 1921, Dobzhansky accepted a position at the Polytechnic Institute of Kiev as a zoology instructor. He moved to the University of Saint Petersburg in 1924 as an assistant to Yuri Filipchenko, head of the genetics department. The same year he married geneticist Natalia Sivertzeva and they had one daughter, Sophie. During his stay as a researcher at Saint Petersburg, Theodosius Dobzhansky started devoting his efforts to the emerging field of genetics. He studied many newer areas of genetics, starting extensive research on the fruit-fly (Drosophila melanogaster). In 1927 Dobzhansky was awarded a scholarship to work in the United States and he began working with zoologist Thomas Hunt Morgan at Columbia University in New York City. A year later he followed Thomas Hunt Morgan to the California Institute of Technology, working initially as assistant professor in genetics. In 1933, Dobzhansky began studying the population genetics of the fruit flies, Drosophila pseudoobscura. His results and conclusions, published in his 1937 work “Genetics and the Origin of Species”, turned out to be the most important book on evolutionary biology of the 20th century. A combination of Darwinian selection and modern genetics, it became a catalyst for future researches in evolution. His book included his views on speciation, concerning how new species form and evolve from existing species. He stated that reproductive isolation results in the formation of a new species and coined the term “isolating mechanisms”. He returned to Columbia University in 1940 as professor of zoology, soon creating an energetic group of genetics researchers around him. He moved to Rockefeller University, also in New York City, in 1962, where he remained until his retirement in 1970. 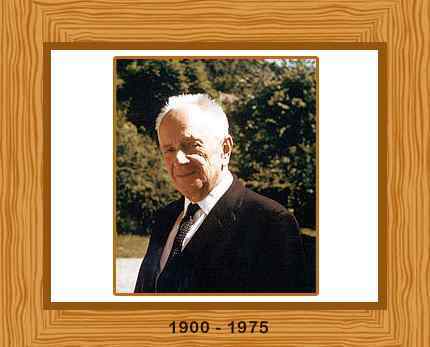 Dobzhansky revolutionized the application of genetics and evolution to the understanding of human beings. He also wrote about anthropological and philosophical themes, for instance his influential 1962 work, “Mankind Evolving”, which explored understanding mankind as a product of evolution and as an evolving whole. Theodosius Dobzhansky retired from Rockefeller University in 1970, becoming professor emeritus. In 1971 he moved to the University of California at Davis as a supervisor. He died five years later, on December 18 1975, following a long battle with leukaemia. He was 75 years old.